Reading has been a HUGE part of my life for the past two and a half years. But there are some books that have actually changed my life and have shaped me into the person I am today. To people who aren't passionate about reading it may seem weird, but if you are a fellow avid reader like myself, you know the feeling. Today I'm going to show you guys the books that made a difference in my life. There are only three on this list because it is a really hard place to get. I have SO many things to thank the Legend trilogy for. Firstly, this is the book series that got me into reading. Before Legend, I never understood why people liked to read, I actually really disliked reading because of all the school reading I was doing at the time. But these books just sucked me in and made me appreciate reading and actually get into the reading world. Secondly, these books made me and my now best friend actually become best friends. I KNOW, ISN'T THAT INSANE?! Not to make this too long, but basically my now bff, who was only a sort of my friend at the time, came up to me and we started talking about books because she saw me earlier reading. She was already a really avid reading and came up to me asking if I was an avid reader as well. When I told her my story with reading I could tell she was disappointed. Nonetheless, she started telling me about this book she was about to start reading called Legend. I told her that I actually bought that book but never got to reading it. She asked me to buddy read it with her and I said yes. Not long after, I fell in love with the book and she and I could not stop talking about it. We then started hanging out more and not only talking about books. I can't thank these books enough for connecting me with now one of the most important people in my life. And the last thing I'm going to mention, is that I can 100% guarantee you that I would not be who I am today without these books. They made me into the fangirl I am today, they made me a happier person, and the actually gave me something to be passionate about. 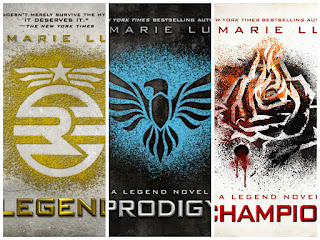 Before Legend, I felt as if I didn't have something that I truly cared about in my life, but after reading these books that all changed. Thank you, thank you. thank you for everything that you've gave me through writing these books, Marie Lu. 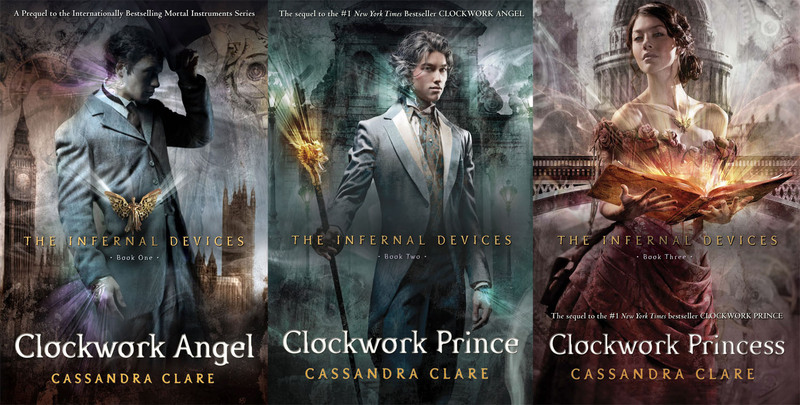 For this I really could just include all of the Shadowhunter books, but I wanted to just say TID because again, this trilogy has done so much for me. It was these books that put me on BookTube, it was because I needed to find other people who had read these books to talk to them about it! Honestly, TID and Legend are pretty much tied when it comes to the amount of an affect they've had on my life. Like Legend, these books have shaped me into the person I am today. 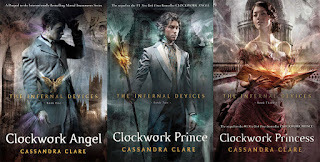 I remember the feeling I had when I was reading TID and it was a feeling I never had before. It was a feeling of pure joy. It was actually these books that actually made me accept the fact that I was a fangirl and that I wasn't weird. These books helped me gain confidence because I started talking about how everyone should read TID and I was literally telling this to EVERY single person I came across, something I wouldn't have had to courage to do otherwise. And again, I know you might think I'm over exaggerating now, but I'm not, I can assure you that these books have had such a profound affect on me and I wouldn't be the Selin I am today without them :) . Although this book series has had such a big impact on my life, it's sort of bitter-sweet to mention it. And this is for multiple reasons. First, because I actually don't like these books anymore. And second, well, I'll get into that in just a bit. 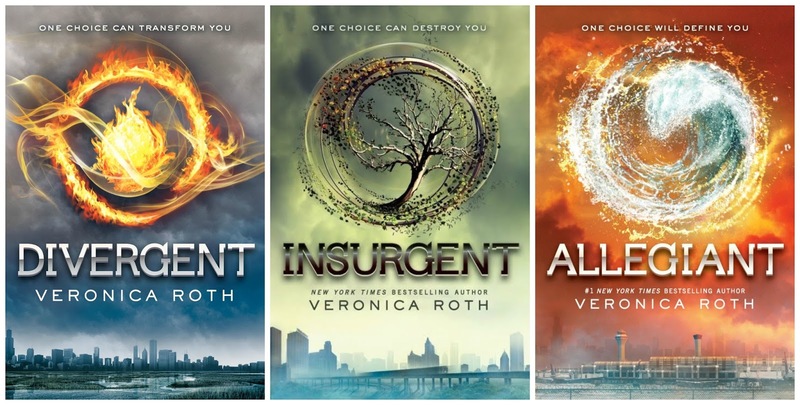 I first read Divergent 4 years ago now, and I fell instantly in love and marathon-ed the whole trilogy. I know I said before Legend that I didn't read, and that's true, this was literally one of the only exceptions. Anyways, after finishing the books I immediately immersed myself into the Divergent fandom (at this point I didn't even know what a fandom was). To make a long story short, when the new school year started I found this guy who liked Divergent just as much as me, We fangirled/boyed over it together and got so many people to read it as well. Keep in mind while I was doing all this I still didn't really know fandoms existed, I just really liked Divergent. So, you're probably wondering why this trilogy is so influential in my life. Well, not only did it give me my first taste of being a fangirl, and my first official obsession, it also taught me a lesson about people, one that I won't forget. 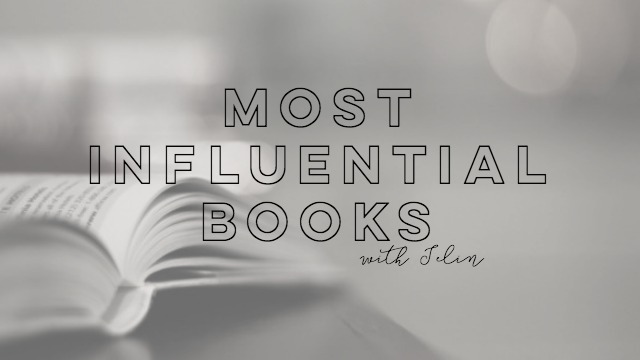 I'd love to hear what books are most influential in your guys life! There are so many books that have had an impact on my life. I hated reading when I was a kid. I didn’t start loving books until I discovered Stephen King. I wouldn’t be here commenting on this post if Stephen King didn’t exist.